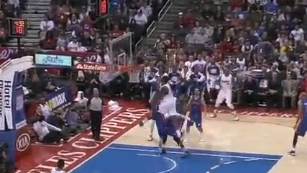 Turns out that Blake Griffin is not the only guy that can demolish guys with vicious dunks. I think Brandon Knight may actually be dead after DeAndre Jordan absolutely crushed him with an enormous alley-oop this evening. Let's go to the videotape.